Mutual Funds Philippines | How Mutual Funds work? Filipinos from all walks of life have dreams for themselves and their loved ones. Providing children with the best education, having a nice home, starting a business and a comfortable retirement in the future are just some of the many dreams Filipinos nurture in their hearts. This is the point where savers realize the need to become investors. Savings accounts in banks are good as it serves emergency funds but certainly these are not enough, for they are susceptible to the gnawing effects of inflation, and can make money value less over time. Investing in mutual funds can help individuals who do not have the time and expertise to manage their funds. In mutual funds, people can start investing their money in reputable instruments without the burden of having to study nor timing the market more, so the need to dedicate time to actively manage their often complicated financial portfolios. A mutual fund is an investment company that collects or pools investors’ contributions for the purpose of investing it in different vehicles such as stocks, bonds, money market instruments, or combinations of the three. Each investor of the fund becomes a shareholder or part-owner of the fund, and receives a number of shares depending on the NAVPS (Net Asset Value Per Share) upon purchase, plus the front-end fees applied. 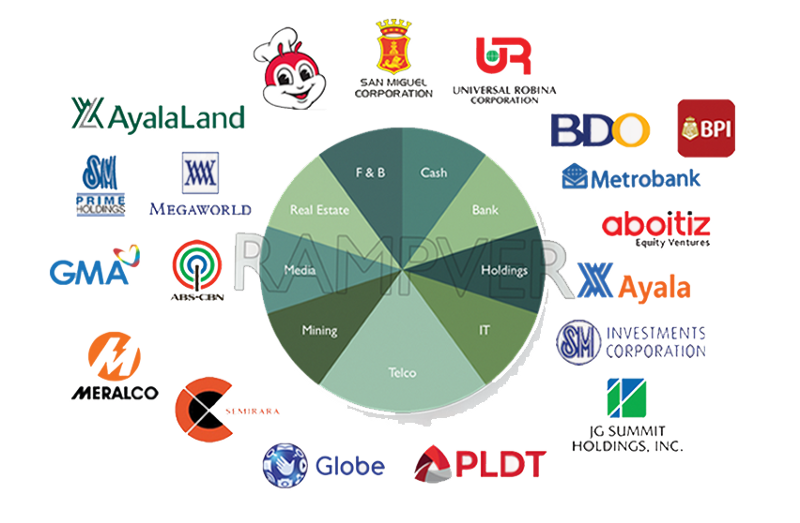 All the mutual funds in the Philippines are registered with the Securities and Exchange Commission. These funds operate under the provisions of strict regulation and auditing created to protect the interests of the investors. So, just like any investment or company that you become a part owner in each investor participates proportionally in the gain or loss of the fund. The NAVPS varies daily because of the market changes that affect the underlying securities in the mutual fund. This price is determined by the total value of the securities in the portfolio, divided by the number of shares outstanding. Note that while it may be tempting to focus on short-term performance when evaluating a fund, most experts will tell you that it’s best to look at longer-term performance, such as three- year and five-year returns (track record). Technically, mutual fund investors do not “directly” own the underlying securities or stocks in which the fund invests; they only own shares in the fund itself. The fund is professionally managed by seasoned financial experts / practitioners (aka “fund managers”) elected by the shareholders. Fund managers call the shots, and their job is to seize market opportunities while lowering the risk for investors. They grow and maximize the earnings potential of the funds through strategic trading, optimized asset allocation, interest earnings, and dividend yields. Each mutual fund has its own set of features — asset mix, time horizon, and risk exposure that depends on the fund’s objective and goals. These are presented in the fund’s prospectus. Mutual funds can be classified into four basic types — the stock fund, bond fund, balanced fund and the money market fund. Each fund type corresponds to the set investment objective of the fund, usually stated in the managed fund’s prospectus or fund fact sheets. This type of fund is invested in a diversified portfolio stocks/ equities and generally has the highest return on investment in the long-term. Stock funds designed to earn from capital gains and dividend yields. Those investors who seek maximum capital appreciation may opt for this kind of fund given that they can take the high risk of volatility. The recommended length of stay is five years and beyond. This is usually recommended for those investors who have long-term financial goals with five years and beyond time horizon such as children’s education, retirement fund, funds for future business, and others. Learn more about mutual funds here! This type of pooled fund is invested diversified portfolio of fixed-income instruments, such as government securities, treasury bills, commercial papers, treasury notes and others. Bond Funds earn through the interests paid regularly. The return of investment in bond funds usually outperforms the interest rates of bank deposits and deposit substitute instruments. Can be a good guard against inflation and it preserves the money value for short-term. This can be used for those conservative investors who do not want to risk their money in market volatility, thus opting a safer investment instrument, yet protecting it against the effects of inflation. The recommended time horizon for this type of fund is one to three years. This type of fund is a hybrid fund, a mix of a stock fund, bond fund or money market fund in a single portfolio. This type of fund is poised to gain moderate return on investment without exposing the fund to too much risk or volatility. Usually there are set gauges on how much a balanced fund invested in stocks and bonds. This is recommended for investors with a moderate risk appetite — that is they are willing to expose their investment in volatility yet they have some cover in case something happens to the market. The usual time horizon for balanced funds is around three to five years. This is a type of fund that invests in short-term debt securities such as time deposits, corporate bonds, money market placements, and cash assets. Money Market Funds present the least risk among all types of funds, however, generates the lowest possible return. This fund is suitable for investors with low risk tolerance and short term investment horizon, usually less than one year. Recommended for investors who may need their fund in a short period of time yet seek safer and more stable investment vehicles and still earn better than traditional bank products. Maximizing the fund’s advantages and earnings potential can be achieved if matched properly with the investor’s financial objective, time horizon and risk appetite. Add into account those factors that the investors usually look for — fund’s track record, the background of the fund manager, accessibility preference and others. More like entering a relationship or a deal, the investor must know first on how the chosen fund will make his/her investment goal a reality — for investing is a long-term commitment. Proper matching and goal setting must be done first before participating in these kinds of instruments for they also have disadvantages, which sometimes, like a relationship can be detrimental to the investor’s money if left ignored or neglected. After all, money is just a means to achieve a greater and nobler cause — fulfilment of life’s dreams and goals. Learn the advantages of mutual funds here.